Lexmark International, Inc. is announcing an inkjet supplies increase of approximately 6% on the majority of inkjet part numbers, effective January 1, 2015. This increase will apply to both MSRP and reseller prices. Lexmark has incurred increasing costs due to market conditions as well as from declining volumes. 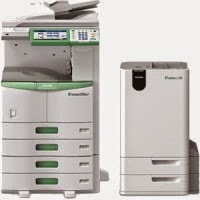 Lexmark will continue to mitigate its costs, but a price increase is necessary to offset the expenses that are occurring. Lexmark will reserve the right to limit quantities ordered by a reseller prior to January 1, 2015. Product must be shipped from Lexmark by December 31, 2014 to receive prior price. 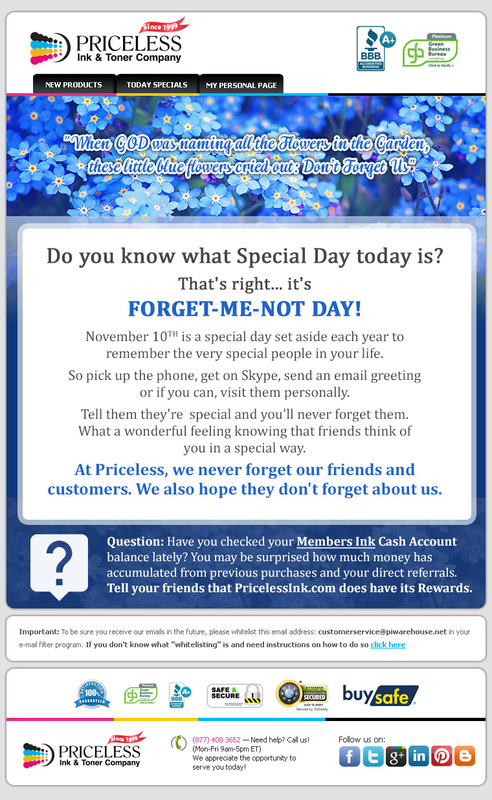 Visit https://www.priceless-inkjet.com/printers.Lexmark.html to get your supplies before the price increase. Try our compatible and professionally remanufactured Lexmark printer supplies to save even more! Epson America, Inc., a leading provider of business imaging solutions, recently announced expansion of its portfolio of workgroup printers with its two new A3 printing solutions powered by PrecisionCore™ – the WorkForce® Pro WF-8590 and WF-8090. The WorkForce Pro 8000-Series printers are designed to deliver affordable color printing with low intervention for small and medium companies and corporate workgroups. The WorkForce Pro 8000-Series features black and color print speeds up to 24 ppm, a duty cycle of up to 75,000 pages and cost savings up to 40% lower than printing from color lasers. With the WorkForce Pro WF-8590 (multifunction) and WF-8090 (single function) color printers, workgroups will benefit from versatile media handling to print up to 13" x 19" on a variety of media, including envelopes and labels. With ultra-high yield cartridges to print or copy up to 7,000 color pages and total paper capacity of up to 1,830 sheets with optional paper trays, small and medium businesses (SMBs) can maximize work productivity by reducing the frequency of supplies replenishment. "Business decision-makers and their solutions providers are moving A3 printing closer to the knowledge workers who print a high volume of color pages," said Larry Trevarthen, director, Business Imaging, Epson America, Inc. "This move not only minimizes workflow disruption, but with the new WorkForce Pro 8000-Series, it can also optimize the costs of color printing." "These new Epson models are designed to augment traditional 'big iron' machines – not replace them – to more conveniently deliver the wide-format color documents produced by companies in sectors such as manufacturing, healthcare and financial services," Trevarthen added. · Drivers & utilities - universal printer driver; PCL and PostScript® 3 support. · Security features: PIN number certification for job release; user control access, printer and network settings via Web configuration with printer’s IP address, SSL/TLS security, IPSec. · Efficiency – automatic duplexing plus auto media size detection; WorkForce Pro WF-8590 adds auto two-sided copying, faxing and scanning, including Scan to Cloud, scan to email and Epson Document Capture Pro software. · Built-in connectivity - includes Ethernet, USB, wireless b/g/n and Wi-Fi Direct®; easily print from tablets and smartphones, including remote printing and access to Cloud. · Enabled for remote printer data collection – Compatible with MPS software solutions from PrintFleet®, ECi (FMAudit®) and others. The WorkForce Pro WF-8590 and WF-8090 will be available in January 2015 through the Epson ImageWaySM Partner Program to channel partners and through authorized commercial channel resellers. "It’s not like you plug a thumbdrive into your computer and it tells you this is a Cypress chip, and this one is a Phison chip," says Nohl, citing two of the top USB chip manufacturers. "You really can't check other than by opening the device and doing the analysis yourself... The scarier story is that we can't give you a list of safe devices." · All of the USB storage controllers from Taiwanese firm Phison were vulnerable to reprogramming. · USB storage controllers from ASmedia were not. · USB controller chips from Taiwanese company Genesys that used the USB 2 standard were not vulnerable, but those that used USB 3 standard were. · Other USB devices, such as USB hubs, keyboards, webcams, and mice were even more unpredictable. Nohl’s team also discovered that at least one company already protects against BadUSB attacks: USB device maker Imation employs its Ironkey technology that requires any new firmware updates to its USB flash-memory "thumbdrives" are signed with an "un-forgeable" cryptographic signature that prevents malicious reprogramming. On the other hand, security researcher Richard Harman subsequently found that the popular flash-memory vendor Kingston uses USB chips from up to a half-dozen different companies. Nevertheless, Nohl says that some of the USB controller chips that were found to be immune were protected "by accident" and were deliberately custom-designed ("defeatured") for unique applications for economical considerations that oh-by-the-way, also makes them immune to reprogramming. However, Nohl warns that "every chip that could be reprogrammable is reprogrammable," and vulnerable to BadUSB. In summary, Nohl states that because of lack of transparency (openly identifying the source of the USB controller chips), and the unpredictable mix of secure and insecure USB controller chips, practically every device produced by the USB device industry is suspect. The Canon Toner Cartridge Recycling Program will celebrate its 25th year in operation in 2015, and now covers 26 countries across the world, and the OEM revealed that in December 2013 it had collected around 320,000 metric tonnes of used toner cartridges for recycling since 1990. Four global bases are used to collect and recycle the cartridges: Canon Ecology Industry Inc. in Japan; Canon Dalian Business Machines, Inc. in China; Canon Virginia, Inc. in the United States of America; and Canon Bretagne S.A.S. in France. After launching Canon PC-10 and Canon PC-20 in October 1982, which the OEM says were the "world's first personal copying machines to incorporate replaceable all-in-one toner cartridges", the cartridges used were "adapted" for use in laser printers, "rapidly gaining in popularity", and in line with what the OEM says is its corporate philosophy of 'kyosei' – "living and working together for the common good", it launched the recycling program, which it claims was a "watershed moment" for the industry. Other environmental claims it makes include reducing the "use of new resources" by 220,000 metric tonnes and CO2 emissions by 480,000 metric tonnes. To celebrate the 25 years of operation, the OEM will expand recycling eco-lesson visits to Japanese elementary schools, which will feature an "experiment involving the separation of materials made of plastics and metals", and this will also be presented at the Eco-Products 2014 exhibition in Japan later this month. If you don't want your printer to constantly complain it's out of ink, visit Priceless Ink & Toner and get your high quality printer supplies at lower price. Just use discount code "SocialPIC" at the check out and get 10% off compatible remanufactured printer supplies & 5% off OEM printer supplies. Happy Halloween! However, we discovered something truly scary and evil. Your Printer Manufacturer can actually stop your printer from printing. The Latex Mobile app allows mobile printing for the HP’s Latex 300 wide format printers. The app, showcased at the SGIA Expo by HP, introduces "smart printing capabilities" to the Latex 300 range of wide-format printers, and allows users to "remotely monitor their printers, track job status and receive printer alerts", offering an "innovative user experience" for the Latex 310, 330 and 360 devices in the range. Xavier Garcia, Vice President and General Manager of HP's Large-Format Sign and Display Division, commented: "Print service providers (PSPs) are under increasing pressure from customers to deliver on-time, urgent jobs while providing guaranteed, industry-leading work. The HP Latex Mobile app marks the beginning of a new era of smart printing, giving customers peace of mind while they are at and away from the print shop, as well as helping them to better address time-sensitive requests and gain customer loyalty." Jose María Miñarro, Manager at HP customer Miñarro Impresión, got to try the app, and added: "The HP Latex Mobile application has not only simplified my working processes, its remote monitoring capabilities also give me the confidence to know what’s happening while I’m out of the office." The Latex Mobile app will be available for download in January next year for smartphones, and mid-2015 for tablets, with both releases for iOS and Android. 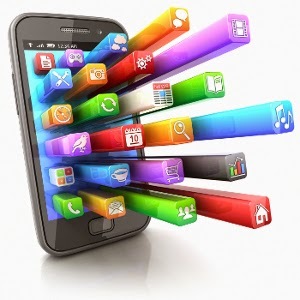 A new report from app analytics company App Annie focuses on "connected apps," or apps that require separate hardware to run — which includes everything from printers with Wi-Fi to the latest Android Wear smartwatches. Although wearable technology has received a lot of attention recently, the report suggests downloads for their usually required companion apps are still low. App Annie's report looked at 30 apps that require an external piece of hardware to work and inferred the number of downloads on both the Apple App Store and Google Play they received this past August. The most downloaded app in the batch was Chromecast, which is a strong sign of the $35 streaming stick is success over the past year. The second most downloaded connected app was Fitbit after that come a bunch of apps that suggest that a lot more people have cable set-top boxes and printers than pieces of wearable technology. It also implies that people like to download apps for something like a printer or a satellite TV box, even though those apps are not required. App Annie divided the 30 selected apps into six categories, and the top two categories, Media and Productivity, accounted for roughly 70% of downloads among these apps over the time period. Apps categorized as media include Chromecast, DirecTV, DISH and GoPro. Productivity apps include a bunch of printer apps from companies like HP and Kodak, as well as Square's Register software. Apps that connect to newer technologies related to smart homes, smartwatches, and wearable technology accounted for only 15% of downloads, and that is combining four loosely related categories together. While app downloads are not a perfect proxy for device sales, you would expect the two to correlate fairly closely. Apps in these categories include Fitbit, Jawbone UP, Pebble, Misfit Shine, Nest Mobile, Dropcam and Android Wear. The App Annie report doesn’t provide estimates for the number of downloads over the period. For that, you’ll have to subscribe to App Annie’s premium services. You can take a look at the full report here. Canon Unveils New Branding Effort, Invites Customers to "See Impossible"
On October 7, Canon announced the launch of a new branding effort, combined with a new logo and tagline. The logo incorporates the traditional Canon logo text along with a 3D visual of an expanding box and the tagline "See Impossible." The box, according to Canon, symbolizes the company's desire to "break the boundaries of what is possible and shift the focus from Canon as being solely a manufacturer of quality digital imaging products to a company that empowers the creative spirit within its people and customers." The associated website, seimpossible.usa.canon.com, is, according to Canon, a "digital hub housing consumer, professional, and commercial stories of inspiration, imagination, and innovative end-user applications of Canon imaging technology." Two sides of the box depicted on the site feature links: "See self-publishing" shows on-demand printing solutions, with a menu link to Canon's production print solutions, while "See smarter business" offers information on Canon office solutions and workflow automation. There are also links to Canon eye care technology and radiography systems. "As a technology-based brand, Canon is constantly challenged to empower its customers in today's high-tech and fast-paced world in which new apps and innovations are launching every single day," said Joe Adachi, chairman and CEO for Canon U.S.A. "With imagination and customer focus at the core of the Canon business model, 'Canon See Impossible' will highlight the combined technological innovation and human ingenuity that makes the impossible possible. Our new rallying cry will extract creative thinking from a place of isolation, encourage exploration of the unknown, and showcase our creativity as it impacts the real world with limitless possibilities." The purchase by the Department of Agriculture was just one of a series of overspends by US government departments in the last year. The Fiscal Times reported on what it calls a reckless federal shopping spree in the US, which saw government departments spend around $50 billion during the financial year, with September 30 being the final day of the year on which agencies "use it or lose it", spending the remainder of the cash given to them before the Treasury takes the rest back. The agencies are said to spend all of their allocated funds because "Congress may not allocate as much the following year", which the sites notes "creates panic for federal workers scrambling to spend millions of dollars before they run out of time", as well as creating a "huge payday for contractors scoring big awards". 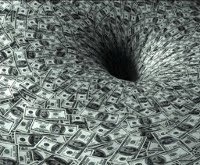 The large amount of money spent in the financial year included "impulse buys" on the final day, specifically the Department of Agriculture's outlay of $144,000 on toner cartridges, and the site noted that the Pentagon spent $5.5 billion alone on the final day of the year, with Department of Defense (DOD) officials "even sending an email encouraging employees to spend as much as they could". This email, which the Washington Post obtained, saw Budget Officer Sannadean Sims and Procurement Officer Kathleen Miller state that "it is critical in our efforts to 100% of our available resources this fiscal year. It is also imperative that your organisation meets its projected spending goal for June". Analysis of data from 2004 to 2009 by Harvard and Chicago universities saw that 8.7% of total federal spending in the USA occurs in the last week of the fiscal year, and the site notes that since the government spends so much money in such a short amount of time, some people have concerns that hasty purchases could result in problems down the road – like poor product selection. The research also studied contract performances from 700 IT projects, worth a total of $130 billion, and found that projects awarded in the last week of the fiscal year were 2.2 to 5.6 times more likely to be of lower quality, with this issue able to be resolved if agencies were allowed to roll over their unused funds to the next fiscal year, a proposal similar to one made by President Obama's administration four years ago, though Congress never took it up. Alert! 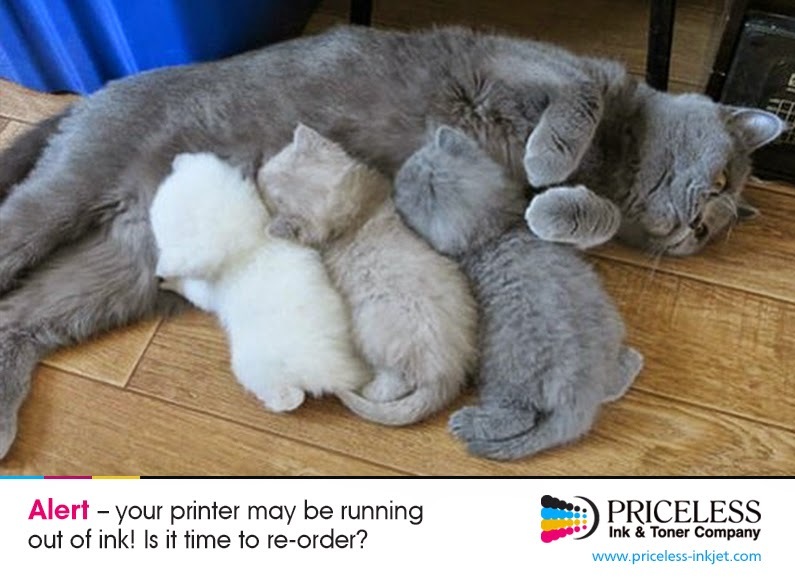 Your printer may be running out of ink! Epson's Workforce WF-100W is aimed at mobile workers due to its easy transportation. 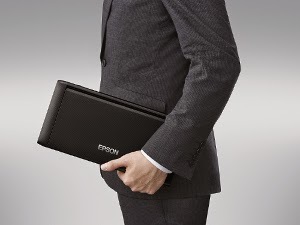 Techradar reported on Epson's launch of the Workforce WF-100W, said to be the world's smallest and lightest commercial A4 inkjet printer, with the device being "slightly thicker than an A4 reach and about two-thirds the size" and weighing 3.53 lbs. The printer can also be comfortably transported: due to its "brick form factor", and has an "integrated Li-Ion battery" which is able to be recharged using a USB port or a bundled AC adapter. 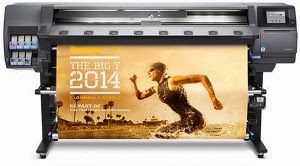 Other features include a "tiny" LDC display showing "essential characteristics" of a print job along with the printer's status; a paper tray with a 50-sheet capacity; and Wi-Fi capabilities as users can connect to it "directly via Wi-Fi or as a networked printer" as well as through an Epson app. It is also compatible with Google Cloud Print and Apple AirPrint. In terms of cartridges, the device uses two Epson ink cartridges and pigment ink. Aimed at "mobile workers looking to print low quantity invoices, designs or other documents on the move", the Workforce WF-100W will first be available in Europe at a price of $387. 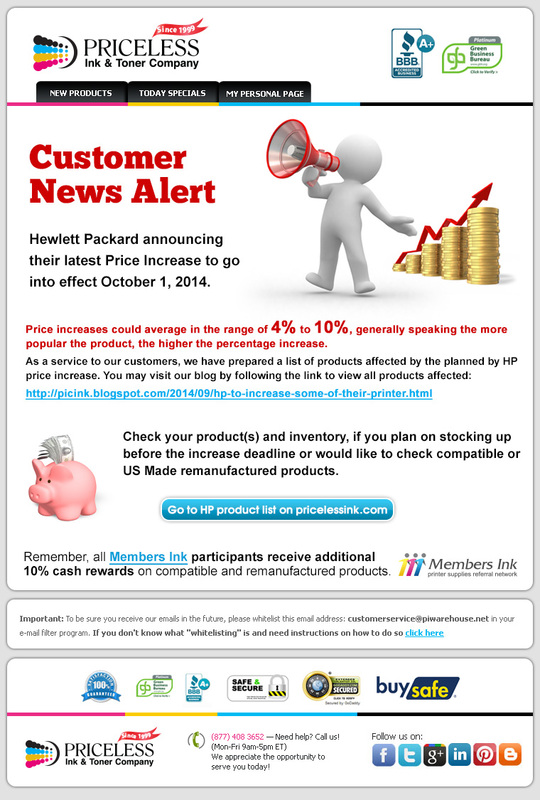 Please be aware that Hewlett Packard / HP announced a price increase effective October 1, 2014, on selected HP OEM LaserJet Toner Cartridges, Small Format Ink Cartridges, Print Heads, Photo Value Packs and Small Format Media. This move is a result of HP's standard portfolio management process. As part of this process HP regularly reviews pricing for all its products and makes adjustments, as appropriate. According to HP, select legacy toner products will increase by approximately 10%, and the increases on the ink related products will average 4.3%. As always, HP is committed to developing products and services that meet its customers' needs. This includes HP OEM LaserJet Toner Cartridges, which will continue to provide the superior value, reliability and high - quality output that customers have come to expect from HP. · Q7583AG -- HP 503A Color LJ 3800/CP3505 Magenta Original LaserJet Toner Cartridge for US Government (6,000 Yield) (105/Pallet) (TAA Compliant version of Q7583A). For current prices and compatible or professionally remanufactured alternatives click here.